I was invited to one of my friends’ daughter’s birthday party this weekend! She turned into 3 years old now!! I’ve been thinking what kind of thing a 3 years old girl would like… I asked my mom over Skype. 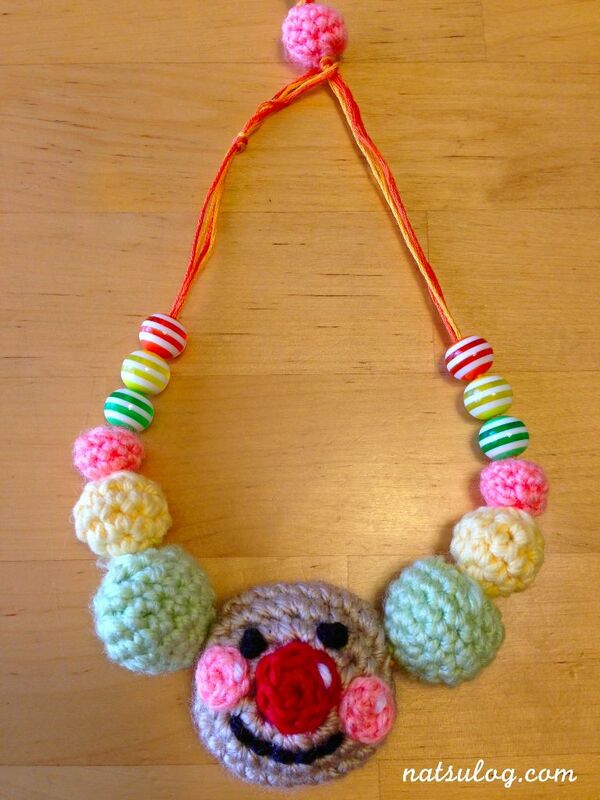 Then, we thought about an accessory!! Yes! NO GIRL dislikes accessories!!! Can you recognize this smily guy? He was also here!! 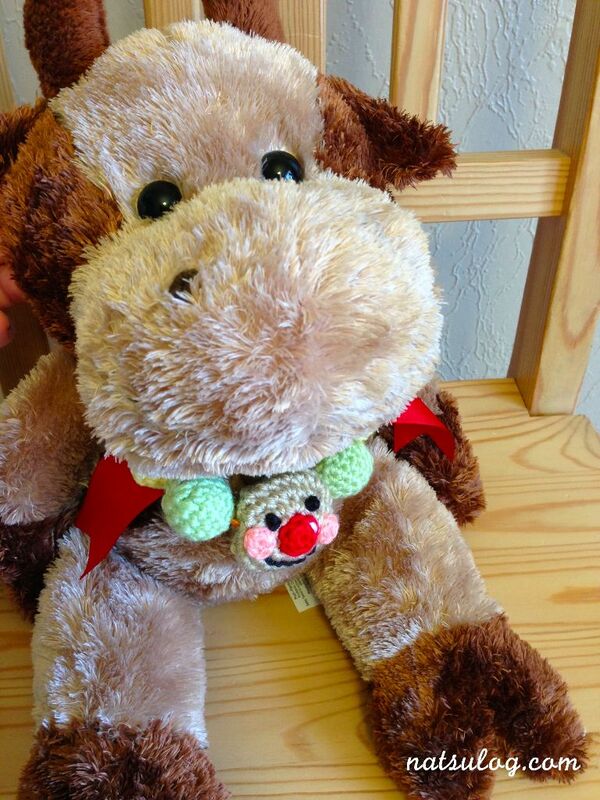 My stuffed cow also looks quite happy with him around his neck. 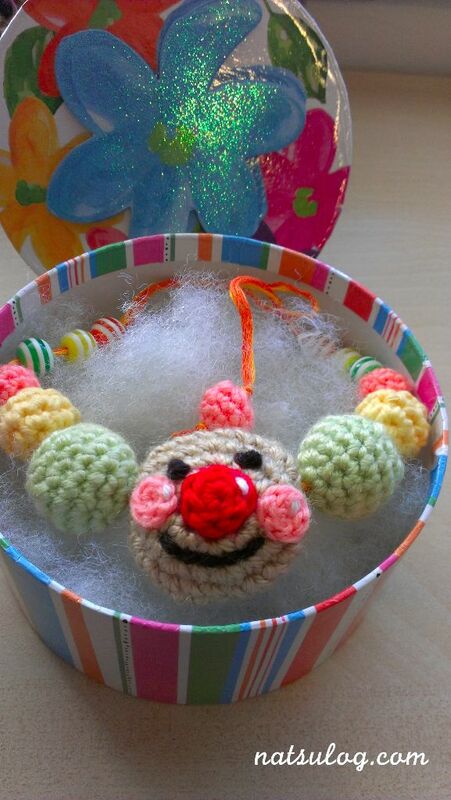 The Anpanman necklace is in a gift-box waiting to see his new friend! !